We aim at providing you every possible design template that you or your organization might need. Every day, we make sure, we have something interesting to present to you. 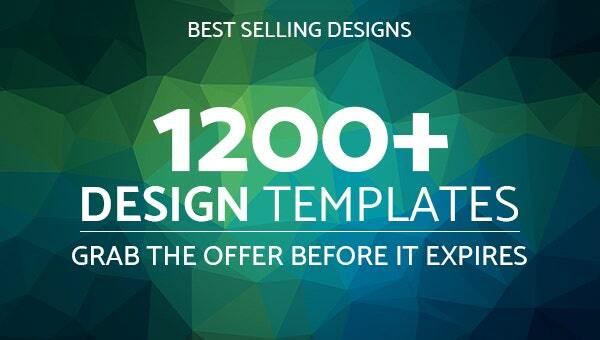 For today we have some high quality design templates in bundles. We have compiled some of our best in-house designs in various bundles to provide you with an amazing choice and variety. Let’s check out these bundles one by one. If you need bifold brochure design, we have an exclusive design bundle dedicated to bi folded brochure. You can place your order and get an access to bi fold brochure template that you can edit to use further. Interested in flyer designs? 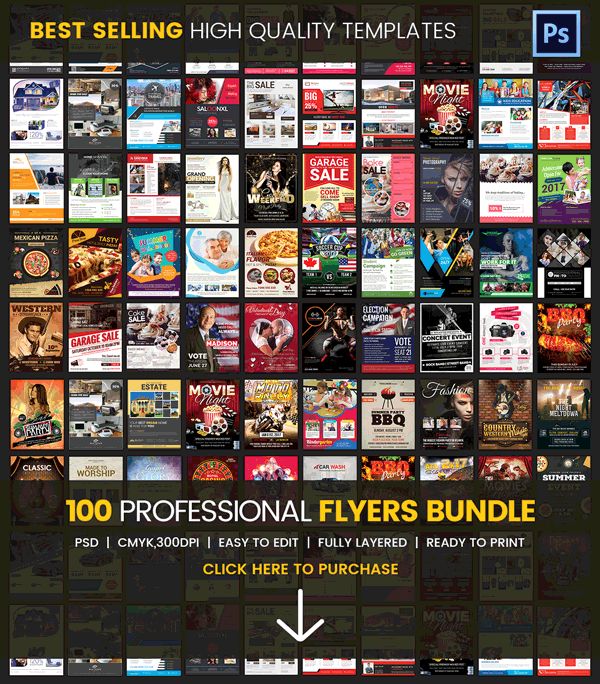 Our design bundle has around 100 flyer designs that you can use for your company promotion. These flyers are editable and you can change the design and text as per your requirement. Poster is a great way to communicate with text and graphics. But creating poster is not an easy task until you have a professional designer with you. The next best thing is downloading poster design templates. 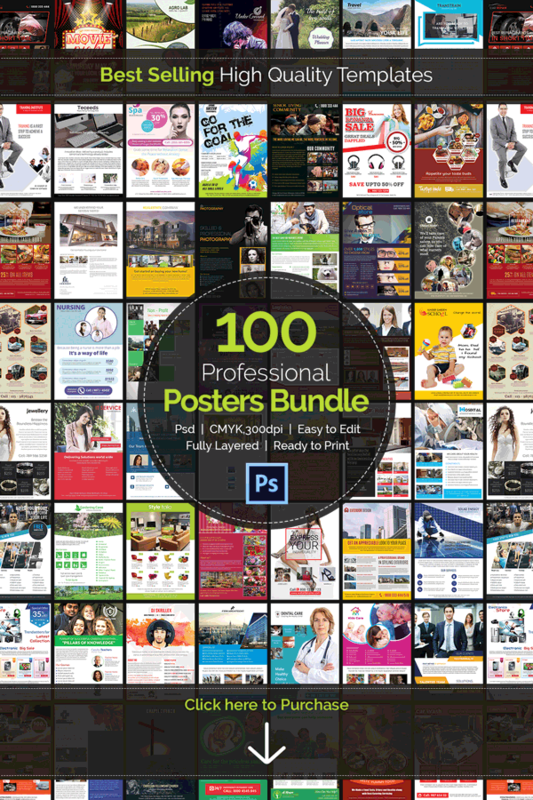 Here is a design bundle that comprises of around 100 poster designs. Purchase it from the link give and you can have access to the interesting poster template designs. Brochure is an important communication tool for any organization. If you want to publicize about you company, service or product or want to provide your target audience with some piece of information, brochure is a great idea to put down everything in detail in one platform. 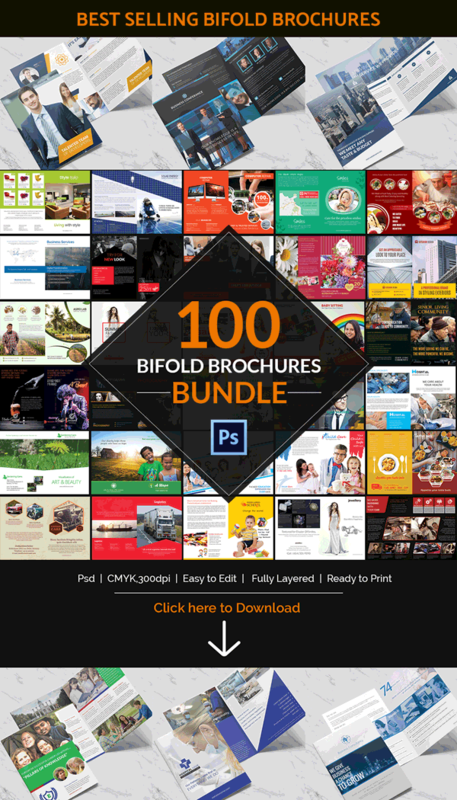 The bundle here will let you choose from a vast variety of brochure templates. You can all of these to fit in your design and information. Invitations are something we all need every now and then. It is always a good idea to have few invitation templates ready. 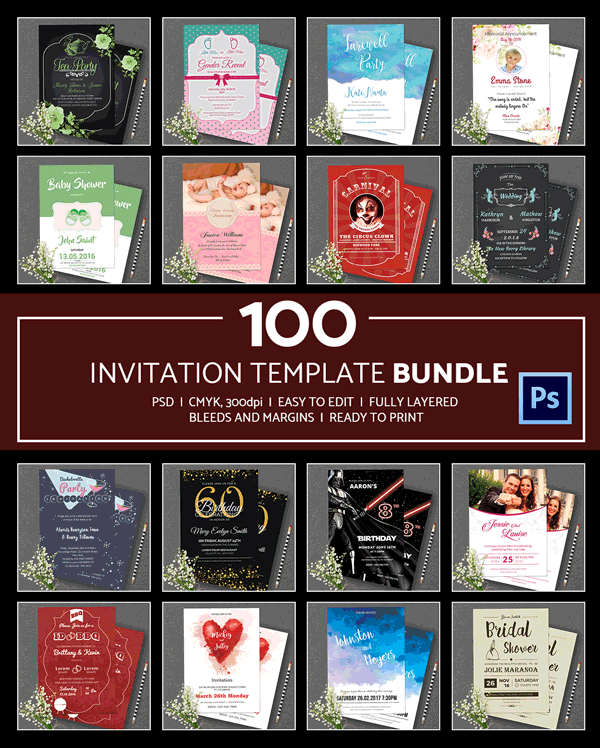 With this bundle you have 100 invitation templates of all the possible occasions you can think of. If you are looking for menu designs then do not move further. With the menu templates we have here, there is nothing that you would miss. 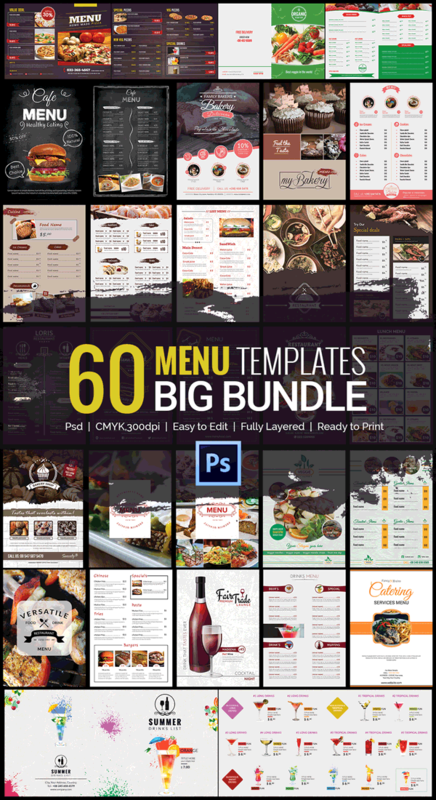 This is a bundle of more than 60 menu designs which are vast and you get to choose from diverse options that we have for you here. Clink on the link given to make your purchase and explore some interesting menu designs. 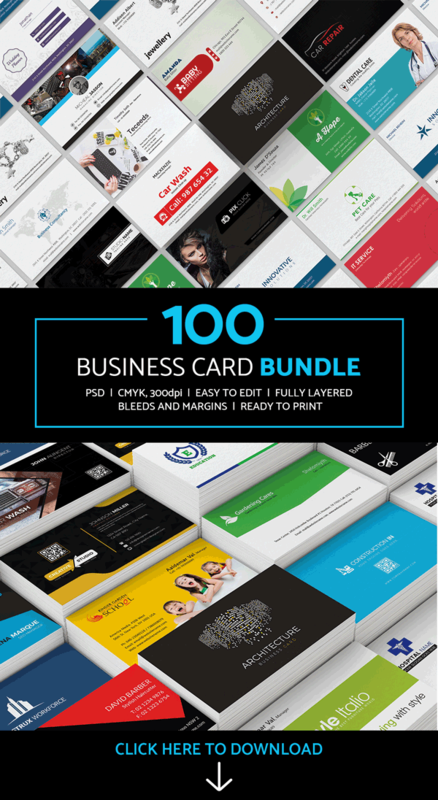 Order and download our business card bundle to get access to some amazing business card template designs that you can edit and use without having to spend all your time and effort in designing the card from the start. Certificates are required to recognize an achievement by a team or an individual. 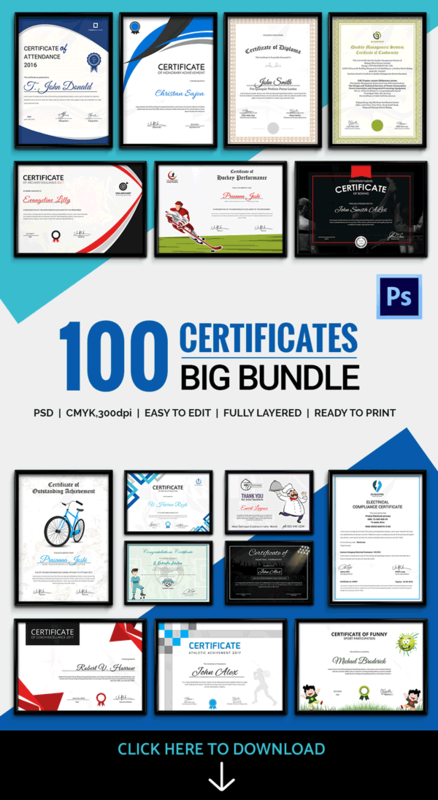 In our certificate design bundle, we have many certificate templates in variety of styles and designs that you can easily edit and use. 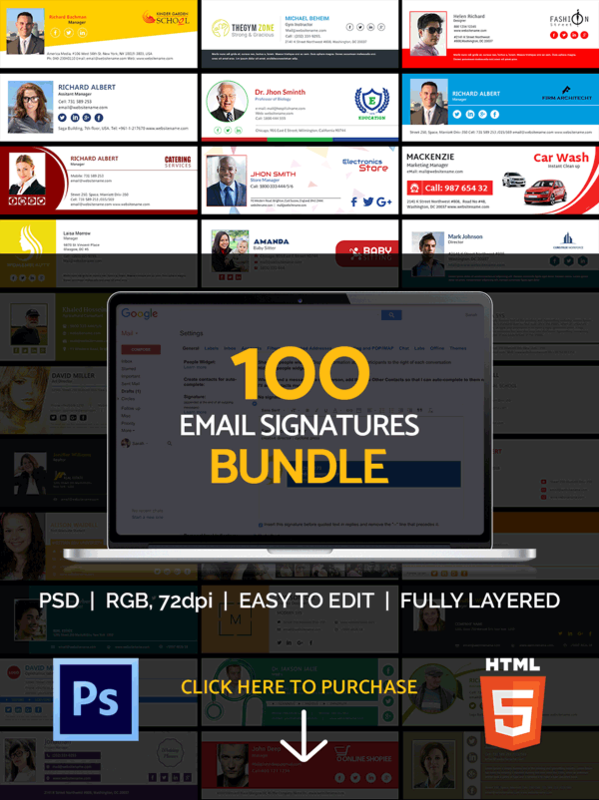 To save you the time and effort, we have a design bundle comprising of email signature templates that you can edit to use further. We have a bundle of more than 50 newsletter bundle that you can use to create a newsletter for your brand. A newsletter is an excellent medium of informing your target audience about the recent development and announcements of the company. These are all vector templates and you can easily edit them to update with your details and also can change the design and color of the newsletters. 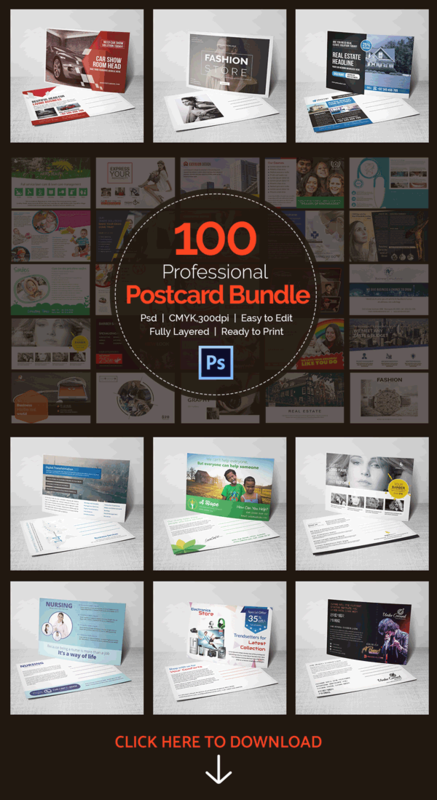 The design bundle comprises of 100 postcard designs that you can use for various purpose. All the postcard templates have smart layers and you can edit the design and text on photoshop. Once you place your order, you will have a 100 of poster card designs in no time and without having to spend a lot hiring a professional designer for the purpose. We have a huge collection of ad banners, carefully designed by out in-house designers. You can use these templates to save yourself the trouble of designing an ad banner right from the start. There are than 250 designs in the bundle and all are fully editable. We hope you will like the designs are appreciate our effort of bringing you the best of template designs under one roof. All these bundles comprise of template designs that are fully editable and can be used be customised in Photoshop.